Safety is our priority. West Coast Amusements’ rides, equipment, and show vehicles are professionally repaired and maintained to the highest standards. There is never an off-season for safety at our carnival. Each year from October through to March, every West Coast Amusements ride, trailer, and truck goes through a rigorous maintenance program at our Winter Quarters in Chilliwack. This safety maintenance program often includes major overhauls by the original equipment manufacturer to maintain current and constantly changing safety standards. Our full-time staff provide comprehensive mechanical, electrical, painting, body repair, and woodworking servers. Before we hit the road, our staff attends all amusement ride safety training and we certify all employees to operate our amusement rides. Each and every ride and vehicle is inspected by the Provincial Government and are approved and licenced by the Elevating Devices Divisions of each province. Additionally, our equipment goes through various non-destructive examinations including Ultra Sound Testing, Magnaflux Particle Testing, and other x-ray tests of hidden components. Once on the road our equipment undergoes daily maintenance and inspections. Our carefully trained and certified staff and supervisors inspect each ride and must report their daily inspection checklists to the Safety Coordinator every day prior to opening. On top of equipment checks and maintenance, we also make sure that every attraction has signage that clearly states the precautions of the ride. For instance, height minimums, weights, and other safety instructions. 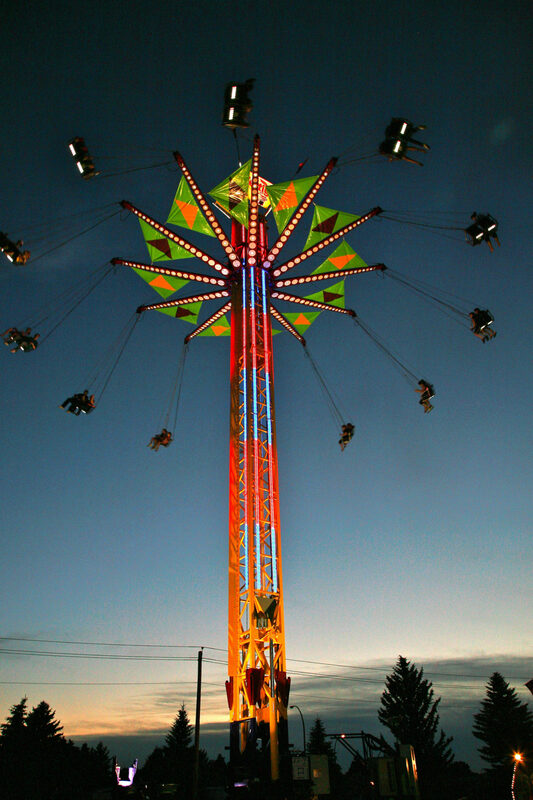 Every ride is equipped with the best safety devices and restraints available.